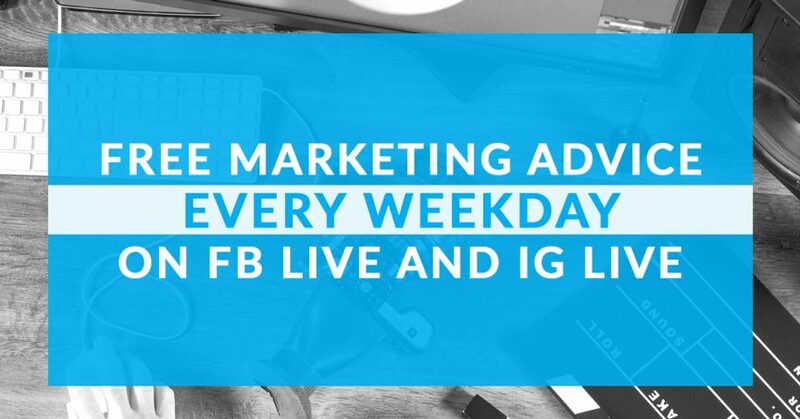 Every weekday our Chief Digital Marketer/President, Justin C. Scicluna, gives free Digital Marketing advice through Facebook Live and Instagram Live. He explains how to utilize the strategies and tools that the biggest companies use to grow their brands. He breaks it down into daily, bite size details that you can implement immediately. Have a specific question about Digital Marketing? Scroll down to the “Your Questions” section or click the “Ask A Question Button below.” Justin will read your question and give his advice on Facebook Live or Instagram Live! If you miss an episode, just head to our Facebook page. We’ll post all Facebook Live tips so you can watch them anytime. Take Me to Facebook Now! The same goes for Instagram! Miss an episode on Instagram Live? Check our IG feed for an archive of all shows. Take Me to Instagram Now! Your questions go straight to Justin's in-box. Request a Free Digital Marketing Review. Got a question? What would you like to know? Take the guess work out of knowing how much you should pay to acquire new leads! Use It Again and Again (this tool is yours and will work forever). Developed to help you gain more leads for the lowest price necessary. Send us a message and we'll get back to you within 24 hrs. Fill out this form and we'll get back to you within the hour.